While browsing the Internet, you are likely to come across Google AdSense ad unit in medium rectangle ad format located in between first and second blog posts. Blogger.com, a popular blogging platform, now has the ability to allow Blogger users to add AdSense ads in between their posts using Show Ads Between Posts feature. 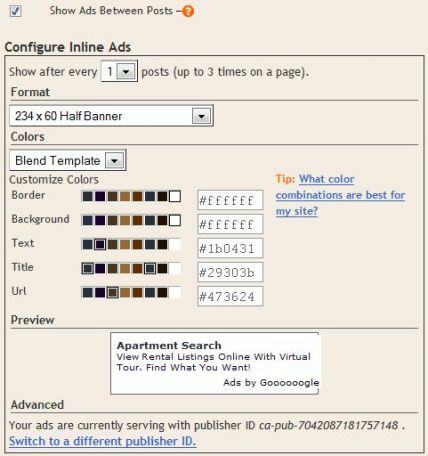 To put and show AdSense ads units between posts in Blogger template is very easy, in fact, users not even need to know any HTML code programming knowledge. Just follow step-by-step instructions at the below guide. At Blogger Dashboard, click or tap on More Options down arrow and select Layout for the blog that you want to enable to show AdSense ads between posts. If the menu doesn’t have Layout, you may be still using classic template. go to Template to upgrade the template. 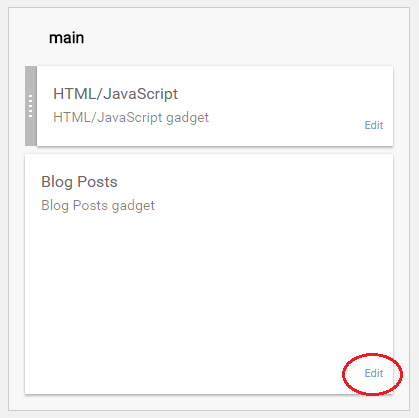 Under the main section, click or tap on Edit link under the “Blog Posts” gadget. 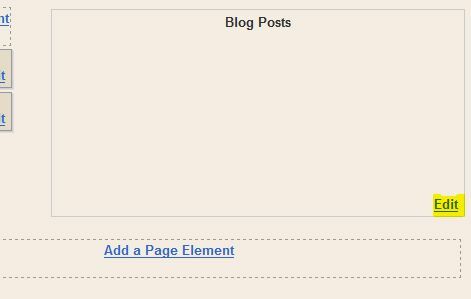 A “Configure Blog Posts” web page will be loaded, select and tick the check box for Show Ads Between Posts setting under “Post Page Options” section. 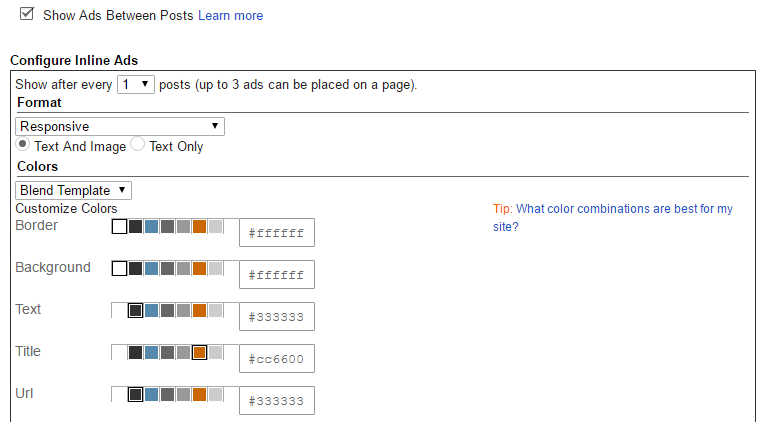 Once “Show Ads Between Posts” option is selected, a “Configure Inline Ads” configuration options section will appear. Here, users can set how often the ads will appear, i.e. to show and display ads after every 1, 2, 3, 4 or 5 posts up to maximum of 3 ads on a web page due to AdSense program policies. You can also choose your prefer ad format for AdSense for Content or Link Units (for ads between posts, rectangle or large rectangle is recommended), and customize the colors of background, border, text, title and URL. Click or tap on Save button when done. Click or tap on Save arrangement to save the layout. Click on Template tab, and then click on Page Elements sub-tab if it hasn’t been already selected. On the lower right corner of “Blog Posts” widget, click on Edit link. A “Configure Blog Posts” web page will be loaded, select and tick the check box for Show Ads Between Posts setting under “Select Items” section. Click on SAVE CHANGES button when done.